Download Resume and Portfolio Website Templates Free PSD. 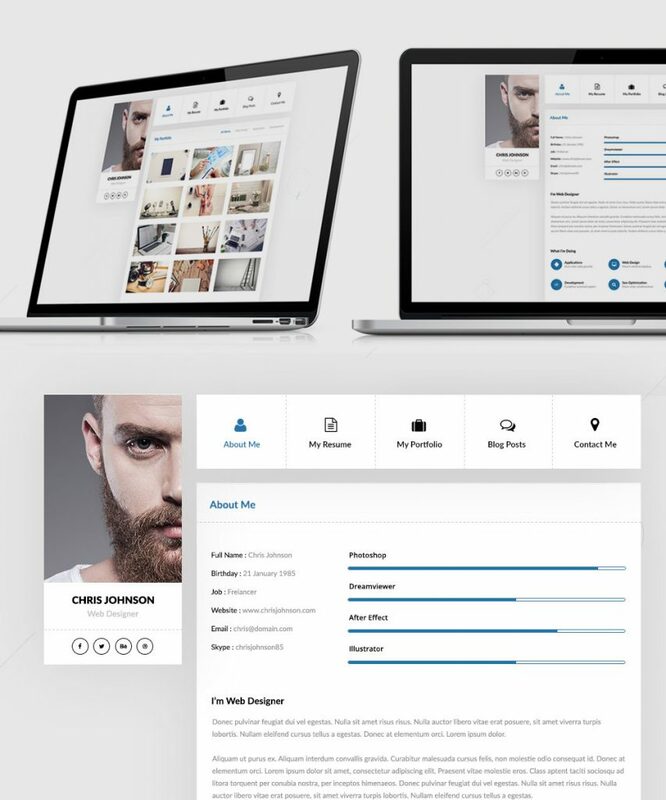 This fully responsive resume website templates that can be used to create a resume, vcard or portfolio website. It has a clean and minimalistic design with a decent color scheme. Total 6 PSD template for Personal portfolio website which contain resume page, about, blog, blog post, portfolio page and contact page. Feel free to use this Resume and Portfolio Website Templates Free PSD for designing your personal portfolio website. Hope you like it. Enjoy!